HSTpathways is a top-ranked, cloud-based Ambulatory Surgery Center software company dedicated to serving the ASC industry. HSTpathways was named KLAS Category Leader for Ambulatory Surgical Center Solutions in the “2018 Best in KLAS: Software & Services” report. Clients include more than 700 organizations such as freestanding ambulatory surgery centers and ASC-hospital joint ventures, as well as 40 multi-facility corporate enterprises. HSTpathways provides the most trusted enterprise software management solution available to the ASC industry. 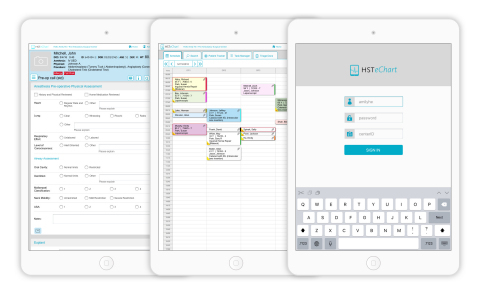 HST offers specialized software solutions to help ASC organizations achieve efficiencies with surgical scheduling, supply chain management, EHR clinical workflows, medical coding, insurance and patient billing, and accounts receivable collections. For more information, visit www.HSTpathways.com. More From BioPortfolio on "CORRECTING and REPLACING PHOTO HSTpathways Offers Enhanced EHR User Interface for Ambulatory Surgery Center Industry"